Are you creating a circular advantage for your organization? Learn more about our Finalists for 2019! The Circulars 2019 Winners and Runners-Up are announced! The Circulars, an initiative of the World Economic Forum and the Forum of Young Global Leaders, run in collaboration with Accenture Strategy, is the world’s premier circular economy award program. 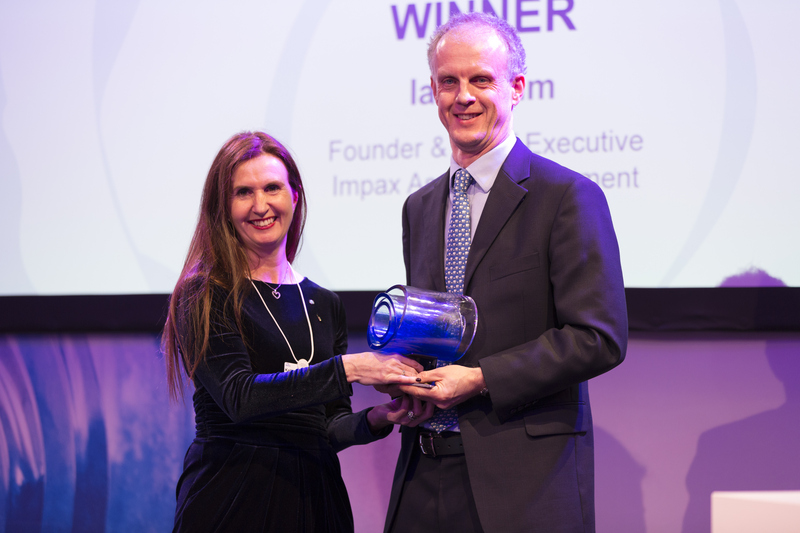 The award offers recognition to individuals and organizations across the globe that are making notable contributions to the circular economy in the private sector, public sector and society. The annual awards are hosted at the World Economic Forum’s Annual Meeting in Davos. 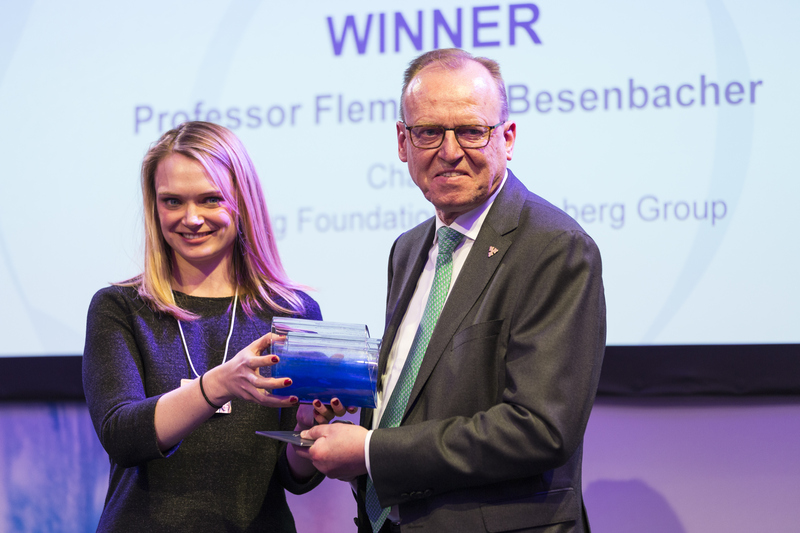 On January 21st 2019, The World Economic Forum’s Community of Young Global Leaders, in collaboration with Accenture Strategy, hosted the fifth annual Circulars awards at the Annual Meeting of the World Economic Forum in Davos-Klosters. 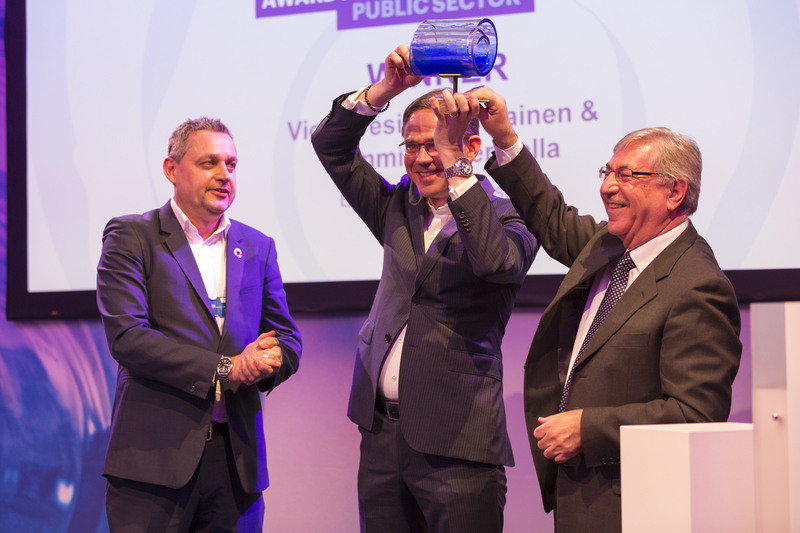 The event was a great success, with seven Circular Economy Awards awarded. 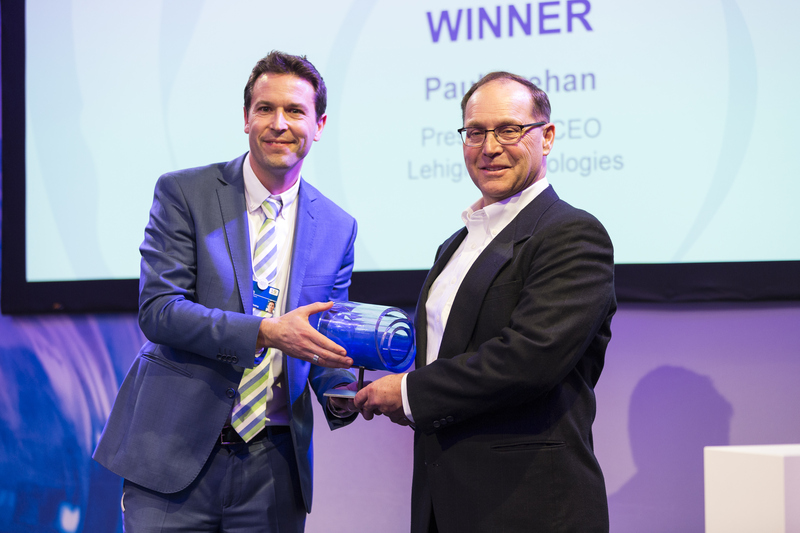 Sponsors Dell and Ecolab, together with media partners, CNBC and Fortune, were on hand to recognize and celebrate the Winners. 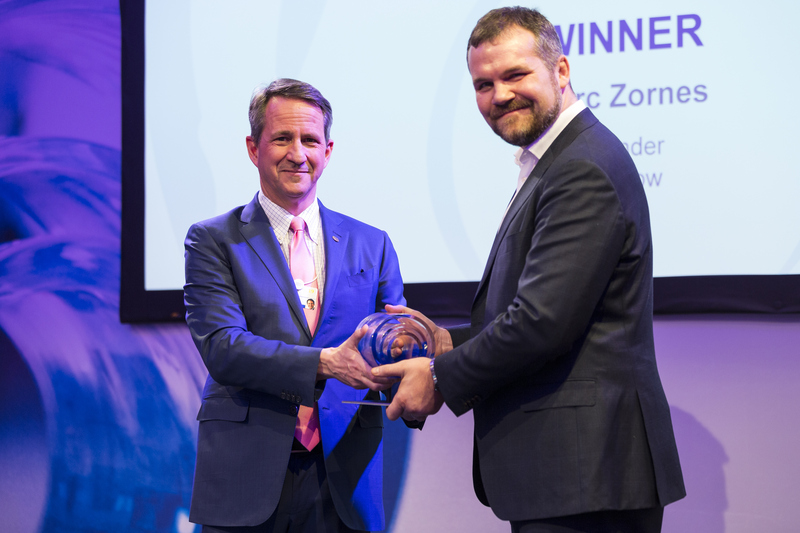 Marc Zornes, Founder, Winnow is presented The Ecolab Award for Circular Economy Tech Disruptor by Christophe Beck, Executive Vice President, Ecolab Inc.
Read what our winners had to say about The Circulars since the beginning of the program. Receiving the Circulars award has enhanced the energy within ABN AMRO to continue to build upon action leadership as the way forward. It further supports the effort to increase experimenting together with our clients. And share the learnings not as a copyright but as a 'right to copy'. The event was a great success that has provided GEM with a great opportunity to share our Circular Economy story with people and develop our working business relationship with other companies who share the same passion. The halo effect of this award has been immense; as a result of this award, we were invited to join the Ellen MacArthur Foundation CE100 network. The Circulars gave us an opportunity to look at the way we do business entirely through a circular economy lens to help understand where we are succeeding and where there are opportunities to do more. Three years ago we engaged in a transformation journey towards a circular economy. We’ve changed our mission as resourcing the world, and we changed our organization out of the silos. We are really committed to help to transition to the circular economy… This is our business model and our company is to create value but value with a purpose. The Circulars is bringing visibility to an important shift happening in our world, and the people, companies and countries bringing innovative approaches to addressing this shift. 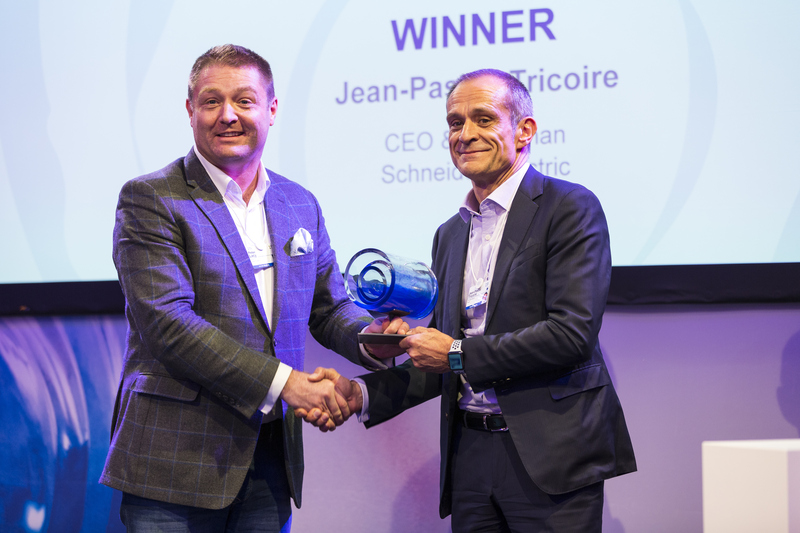 Winning at The Circulars’ validated our longstanding commitment to running a sustainable business and energized our teams to continue driving circular principles into our value chain. The Circulars awards was an amazing event that brought together people who share the same passion for needed and necessary change. The event helps bring about a brighter future, targeting those governing the economic world who are best positioned to provide workable solutions. The Young Global Leaders Circular Economy Taskforce is a World Economic Forum, Young Global Leaders (YGL) initiative. The vision of the taskforce is to create a socially and environmentally prosperous world where profitable businesses provide smart goods and services within the resource limits of the planet. The mission of the taskforce has evolved, building on previous success by heightening its focus on enabling an understanding of the circular economy among business leaders, policymakers and political leaders, allowing the circular economy to be fully appreciated as a viable response to the global resource challenge. The YGL Circular Economy Taskforce Co-Chairs lead the awards program. Peter is a member of Accenture Strategy and Accenture’s overall Global Leadership Council. He advises boards and top management teams on strategy and sustainability issues. He authored the Amazon best-selling book ‘Waste to Wealth’ and co-founded the WEF YGL Taskforce on Circular Economy and The Circulars. Ida is a Member of Parliament, and former Minister for the Environment, for Denmark. Ida has held a number of positions related to the environmental agenda, including Spokeswoman for Environmental Affairs, Member of the Energy Policy Committee, and Member of the Environment and Regional Planning Committee. David co-founded and leads AeroFarms, a high-tech, data-driven vertical farming company that addresses our global food crisis by building and operating large-scale vertical farms in urban environments. David’s expertise in the circular economy has developed from AeroFarms’ success, having been recognized as a Circular Economy 100 company. Rain is a Chief Economist at the CBI, providing economic analysis and working with the business community on economic policy. Prior to this, Rain was head of Emerging Markets at Oxford Economics having started her career at the Bank of England.